Our washing machine chatters and shakes so much that sometimes I think it's going to break apart. (In fact, I hear it shaking right now.) I adjust the feet frequently (why do they make it so hard to turn the feet to raise and lower them? ), but it doesn't do a lot of good. 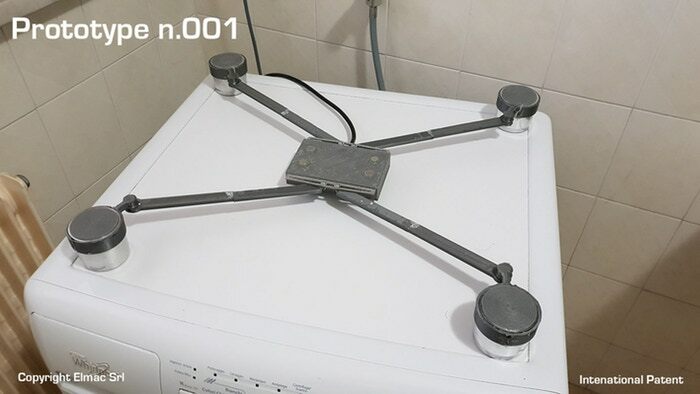 Help could be on the way in the form of this brace that mounts on the bottom or top of the washer and uses active vibration control to reduce shaking. The video is impressive, as is the price: $50 on Kickstarter.